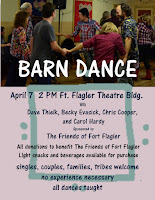 What finer way to spend a Saturday afternoon than dancing in the Ft. Flagler Theatre Building from 2 - 4 PM on Saturday, April 7. 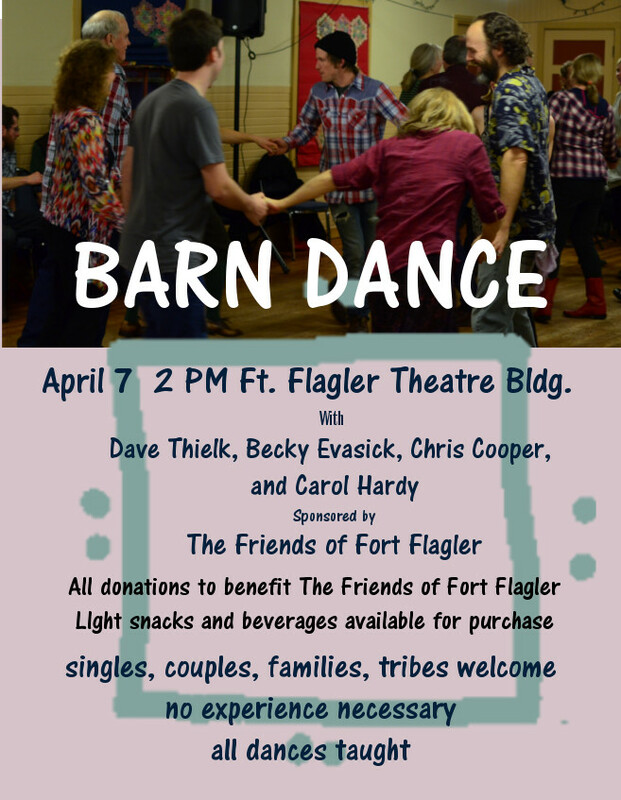 Local caller, Dave Thielk will be teaching and calling traditional squares, mixers, reels and circle dances. 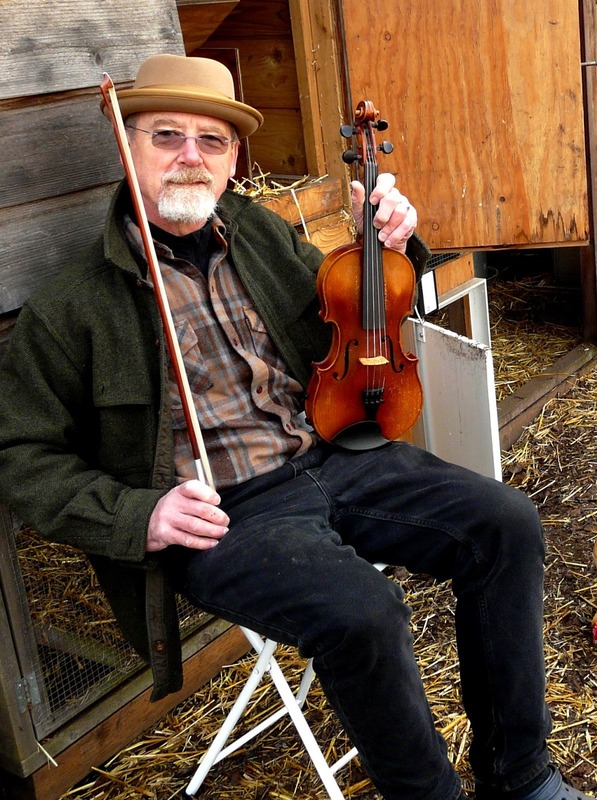 Dave Thielk has called at barn dances as far away as Westby, Wisconsin, and as far north as Juneau, AK. He has called dances in barns, motel rooms, living rooms, grange halls, and on Union Wharf under the stars. The band, Two Hens and a Coop, will be rocking out the dance beat. 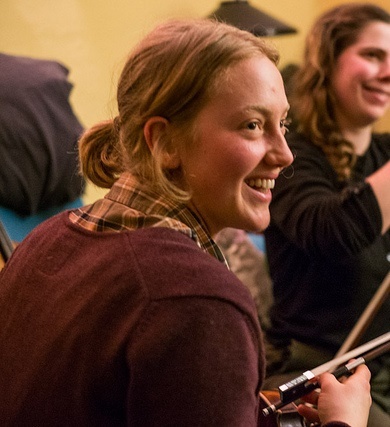 Popular dance fiddler Becky Evasick, banjo player Chris Cooper, and guitarist Carol Hardy have been playing for dances in the area and beyond for decades. The Ft. Flagler Theatre is set on one of the most beautiful state parks in the region, with views north and east of Puget Sound and the Straits of Juan de Fuca. All dances are taught. All experience levels are welcome and encouraged. Come alone, with a friend, as a family, or bring the whole tribe. Experience is not necessary. This is a family friendly event Admission is by donation; all funds raised will support the Friends of Fort Flagler. Bring yourself, a special friend, the family, or the whole tribe and be prepared to rock out on this holiday weekend. For more information, contact the Friends of Fort Flagler, or call Dave Thielk at 360-602-1270. Chimacum Valley’s own Joanne Pontrello will calling squares on April 14th at Quimper Grange. Dancing starts at 8PM (dancers can come early and jam with band at 7 PM) and goes till 11PM. 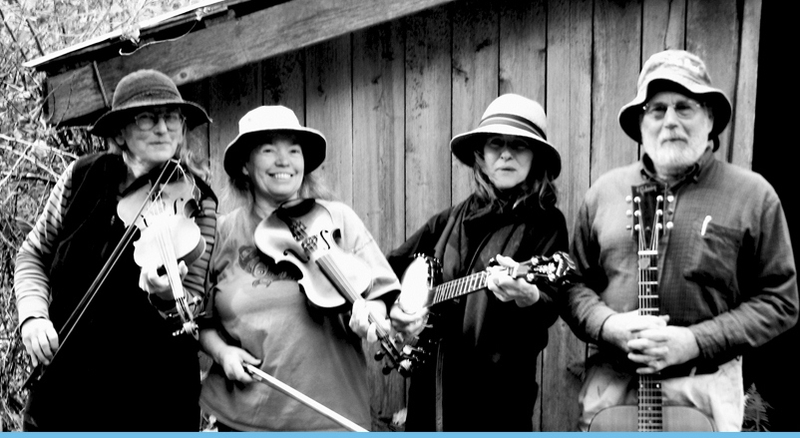 Joanne is bringing her friends and neighbors, Wild Phil and the Buffalo Gals, also Chimacum Valley residents, to rock out dance tunes. Wild Phil includes Becky Evasick, Quenn Charrier, Phil Andrus, Carol Sword and Tom Fenollosa. I don’t think I need to remind all you dancers that these guys have a track record, having played for countless squares and contras around Jefferson County. The October dance represents a delightful opportunity to hear and dance to a fantastic local caller and band.